The TU835V1 MTU can have up to 8 I/O channels. 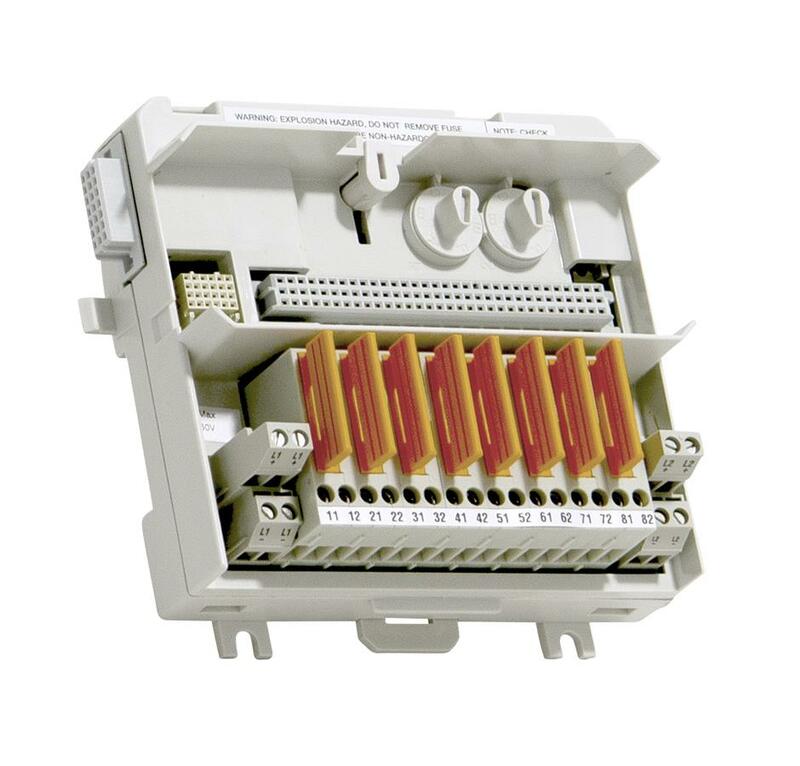 The maximum rated voltage is 50V and maximum rated current is 2 A per channel. The MTU distributes the ModuleBus to the I/O module and to the next MTU. It also generates the correct address to the I/O module by shifting the outgoing position signals to the next MTU. The MTU can be mounted on a standard DIN rail. It has a mechanical latch that locks the MTU to the DIN rail. The latch can be released with a screwdriver. Two mechanical keys are used to configure the MTU for different types of I/O modules. This is only a mechanical configuration and it does not affect the functionality of the MTU or the I/O module. Each key has six positions, which gives a total number of 36 different configurations. Each channel has one fused transducer power terminal and one signal connection. Process voltage can be connected to 2 individually isolated groups. Connections to ModuleBus and I/O modules.